7 months into pregnancy and nesting kicks into overdrive, it hit me! What products will I be using to protect my daughter's skin, I was a bit disappointed with myself because up until then I'd never really thought about the type of skin my daughter would have once she was born, I was more worried about making it through the first night.....alive or childbirth! Both safe and sound and we both made it through the next was what I could or couldn't not apply to her skin, or should I say should or should not be using on my babies delicate skin. With so many new borns, mother and baby, brands out on the market currently it can all become a bit daunting. I wanted one that would be able to protect, hydrate and be pure on my daughter's skin and have the minimal amount of chemicals. 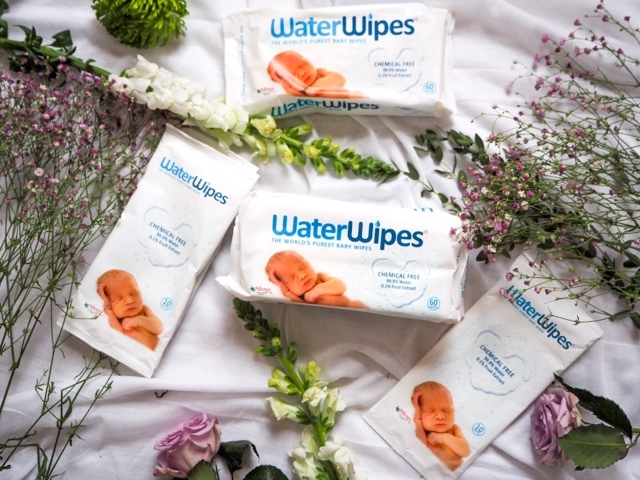 I came across or should I say first heard about Water Wipes whilst bouncing away on an inflatable ball in pregnancy Pilates class. I was intrigued or should I say what piqued my interest was that it was chemical free, yes chemical free! Couldn't believe it, finally music to my ears, so as a pregnant Mumma does I elegantly bounced myself up and waddled on over to find out more. Straight after class duck feet ready I quacked my way over to boots. Preggers wasn't lying she was right, she also forgot to mention the slightly heavy price tag, but what does that matter when it comes to protecting your babies skin. Chemical Free, 99.9% water with a 0.1% fruit extract which is Citrus Grandis, similar to a Grapefruit and it's also a certified Allergy Friendly Product winning all round. Fast forward 2 years and 10 months later and we are till using Water Wipes. I use them also, great to remove the days grime off my face, and I always make sure to have a pack (the lightest) in my bag to clean those messy faces, sticky fingers and snotty noses' too. But for me the big life safer is at night, Leanora gets a bad flare up of eczema in the folds of her arm and I take a wipe out and wipe her eczema where it has flared up and it helps settle her irritation helping her to be more comfortable and drifting off calmly back to sleep. The only downside to Water Wipes is that when you get down to the last few, the water can drain out from the wipe leaving a pool of water at the bottom, but a little tip just flips it upside down, message the closed pack to help the water seep back in. The reasoning for this is, due to no chemicals holding/binding the water to the wipe. We were sent a pack of Water Wipes for this review, but all views are my own and I'm happy to have them added to my collection, Mum was on her last two packets, phew! 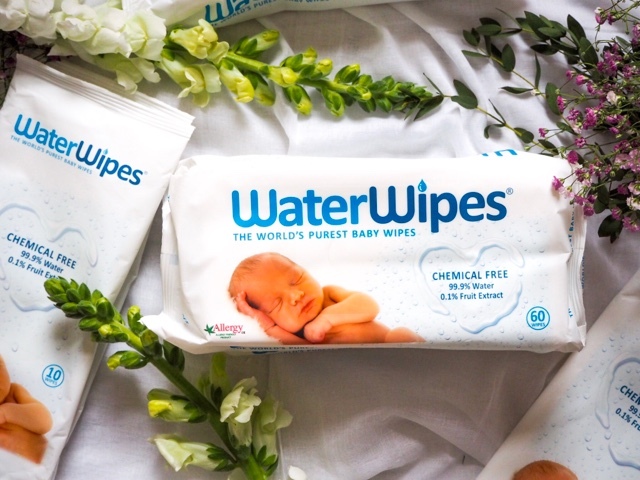 If you've not yet heard or used Water Wipes and looking for a chemical free product to use on your babies or children's skin and a product certainly suitable for the whole family, or maybe you know of a friend/couple who are pregnant gift them a pack or box of Water Wipes. Prices start from £2.70 and available to buy from Boots, Ocado, Amazon and most large supermarkets. Have you tried Water Wipes before? I have heard only good things about this water wipes. Would love to try it someday. Huge fans of water wipes here. I won't use any others now! Water Wipes are brilliant. I discovered them when my son was a few months old and they were great, especially if he got a touch of nappy rash! If I had another baby I'd use these exclusively.